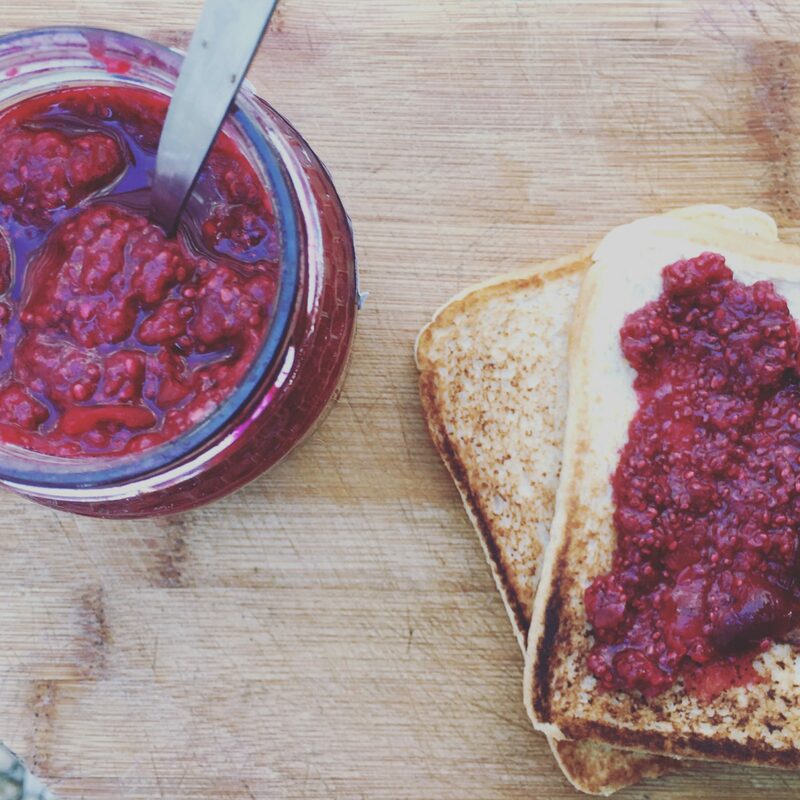 This chia jam is such an easy recipe to make. Keep a jar in your fridge. 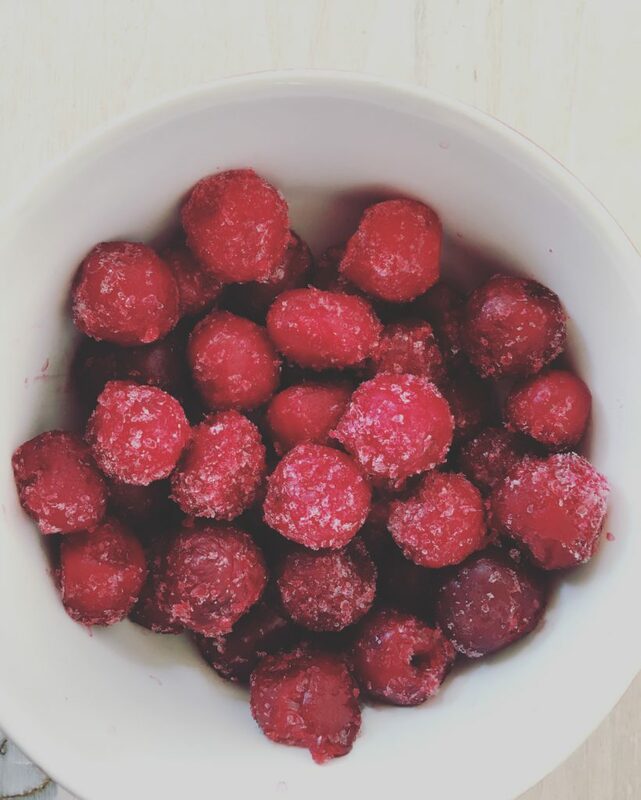 Perfect over desserts or raw cakes. Swirled into banana ice-cream. Or just as is. 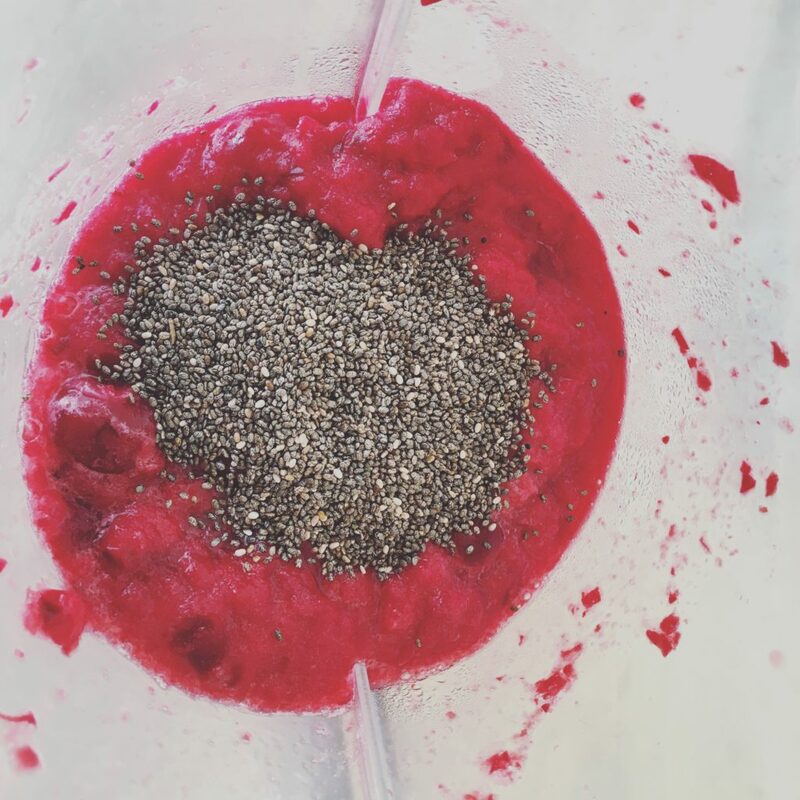 The chia seeds are an excellent source of omega-3 fatty acids. Full of fibre, calcium, iron and zinc. Cherries contain vitamin A, calcium, protein and iron. So, this jam is a health kick of note. Leave your frozen cherries out, so that they can thaw out completely. Depending on where you are and the room temperature, it could take about an hour. Put the cherries and their thawed out juice in a blender. Add the apple juice and pulse a few times until it is mixed well, but still looks a little chunky. I should have a jam consistency. If you want it smoother, you can blend it up a little more. Put the cherries and apple juice mixture in a bowl. Add the chia seeds and mix well with a spoon. For a sweeter jam, you can add two tablespoons of maple syrup. Let it stand for an hour or three, to thicken up. The chia seeds gives off a lovely gel that will allow the jam to thicken. 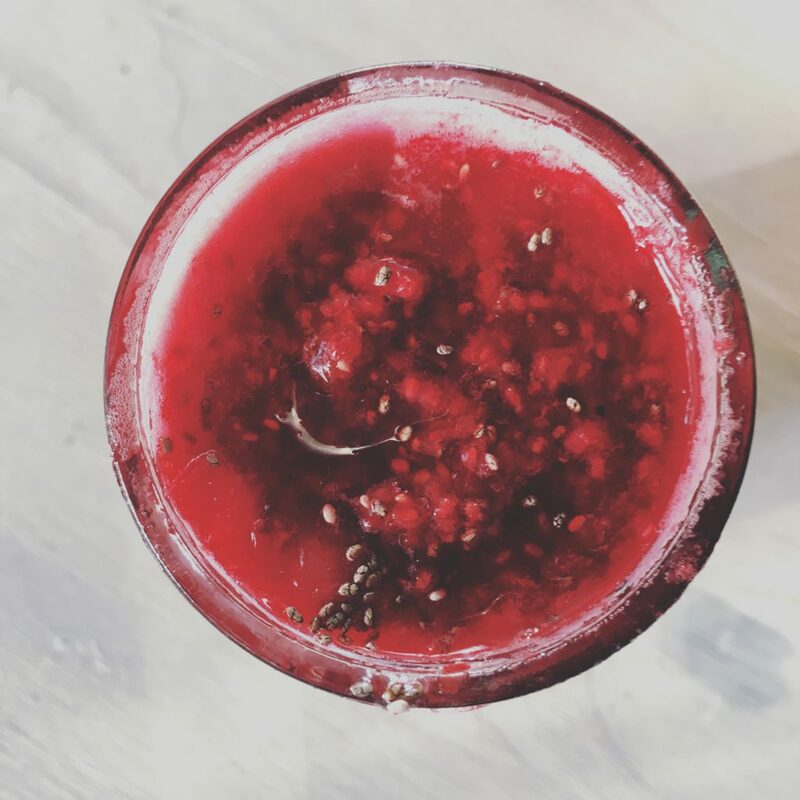 Spoon the cherry chia jam in a glass container and store in the fridge. Enjoy it on scones, swirl it into banana ice-cream, or in your cereal or even in your smoothies. It even tastes great on its own. Enjoy!